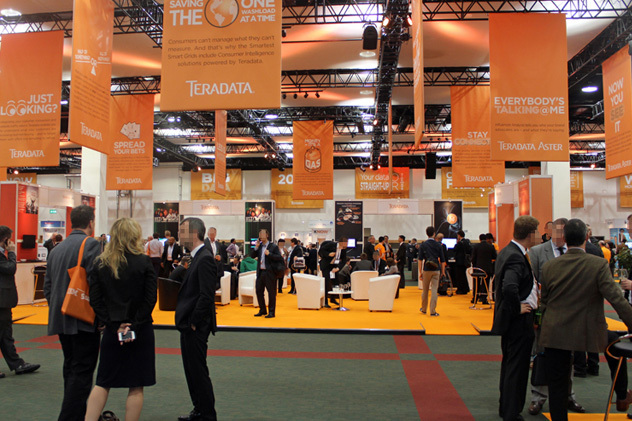 When over 900 delegates turned up to the 2012 Teradata Universe conference in Dublin, they were faced with 7 very different types of ‘Emerald Isles’. 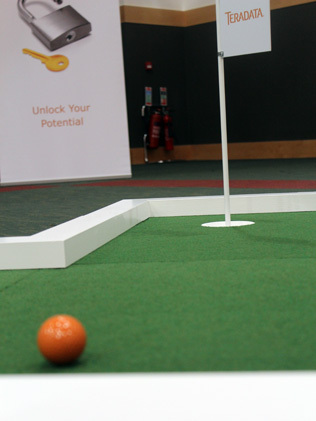 Guests, who had travelled from all over the world to attend the event at the Convention Centre in the heart of Dublin’s financial district, were entertained by UrbanCrazy’s new “Emerald Minigolf Course”. 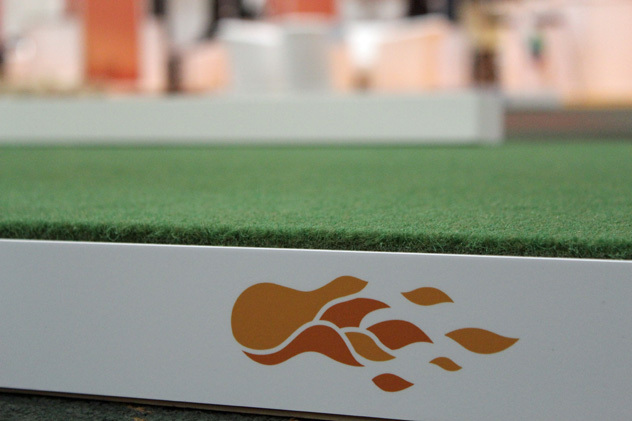 Each of the 7 holes was branded to promote sponsors. 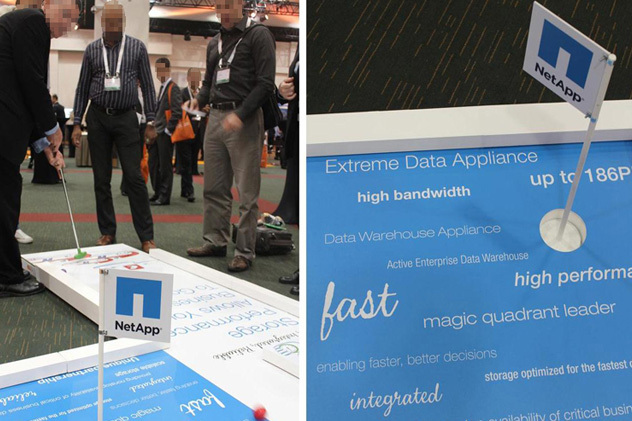 The UrbanCrazy team, having braved the stormy Irish Sea on the crossing from Holyhead to Dublin, were relieved to be leaving the rain clouds behind in favour of i-clouds at this enterprising event. 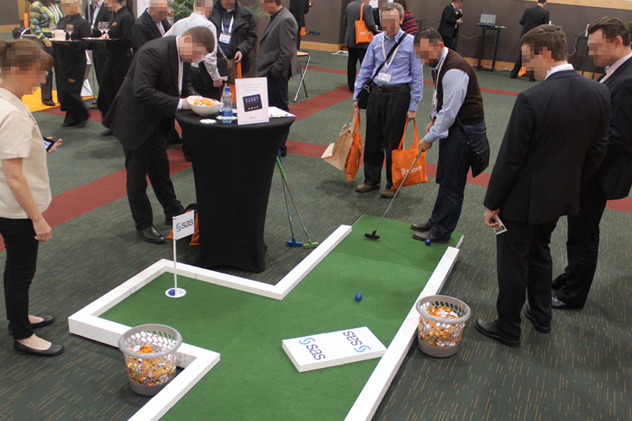 Over the two days our mini-golf was enjoyed by hundreds of attendees, encouraged as they were to partake in a game at the various stands dotted around the hall. Every participant who played on at least 3 holes was entered into a prize draw to win an i-Pad 3, as if they needed an incentive to play on our cool course! 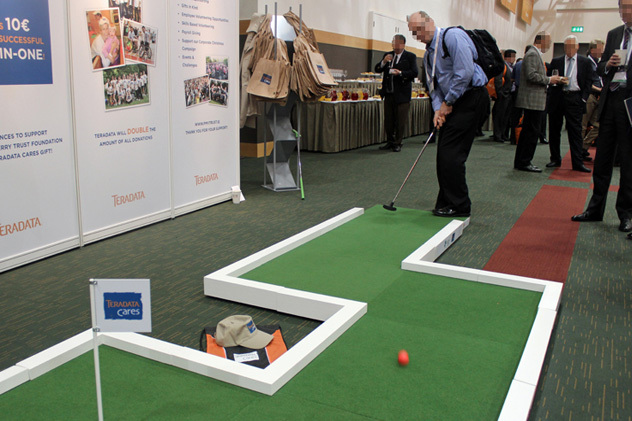 And a hole-in-one challenge was set up for the most competitive guests, with every ace earning the Peter McVerry Trust Foundation a contribution from the hosts, Teradata. 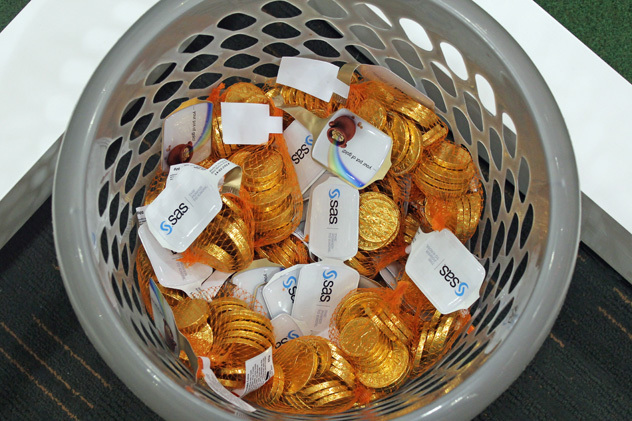 A staggering €7,500 was raised in all! 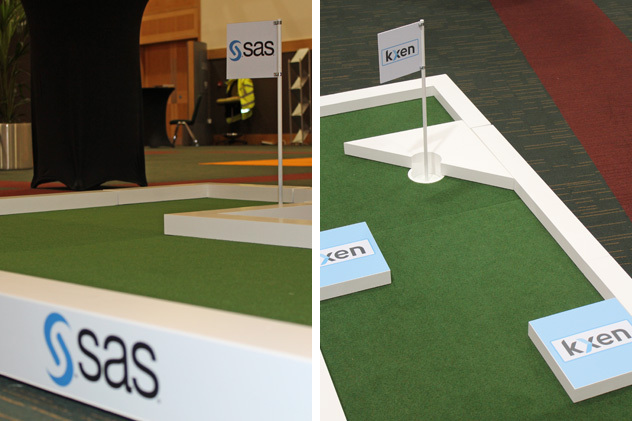 Check out the photos from the event (above, right) and a video demonstrating how to get a hole in one here! 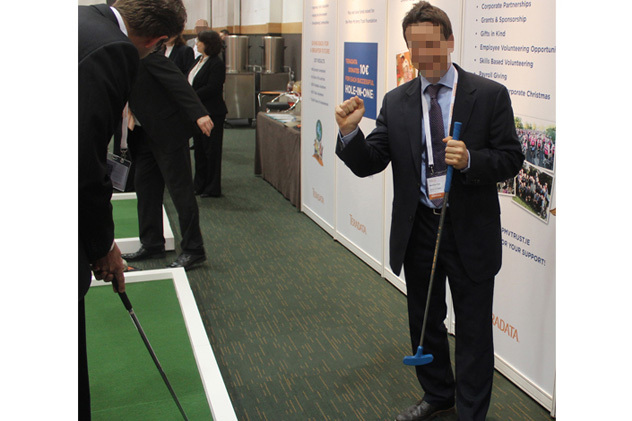 Away from the golf, delegates were able to make new contacts in the world of data security, learn more about the latest technologies, and attended speeches by some of the leading names in the industry. 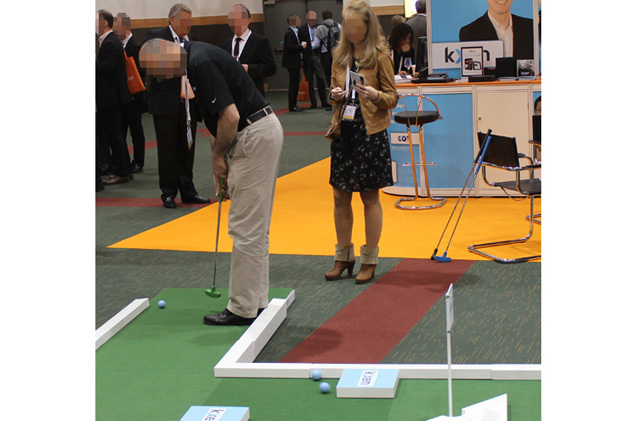 If you are organising an exhibition or showcase event and require interactive entertainment for your guests, then look no further than UrbanCrazy and our vast range of portable minigolf courses.